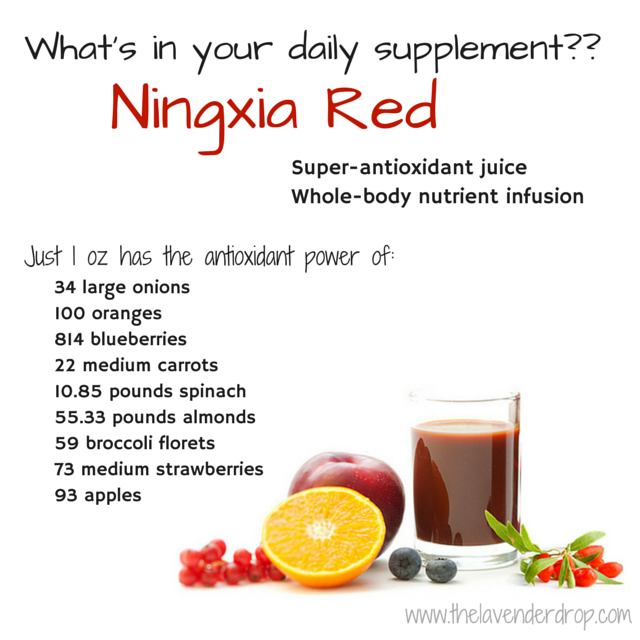 The Lavender Drop: Why should Ningxia Red be your daily supplement? Why should Ningxia Red be your daily supplement? For the past two months, I have been drinking 1 oz of this super juice every morning with breakfast. 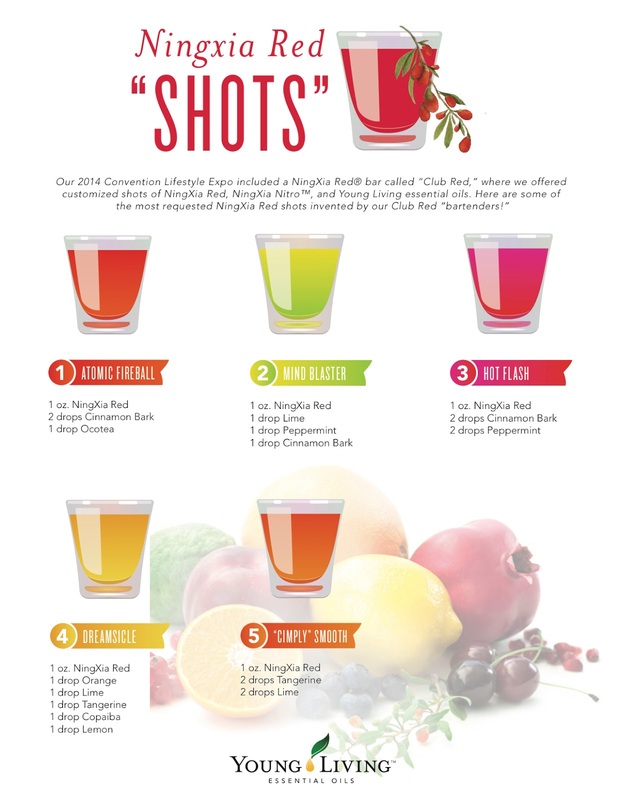 I started drinking it because I wanted a to boost my energy level and health without adding harmful, chemical ingredients to my diet. I have loved the results and I can feel the effects of missing a morning now. It has replaced nearly all of my daily supplements and I look forward to it being part of my morning routine. NingXia Red combines the extraordinary wolfberry superfruit with pure Orange, Yuzu, Lemon, and Tangerine essential oils, along with blueberry, aronia, cherry, pomegranate, and plum juices to deliver a whole-body nutrient infusion. This powerful formula includes wolfberry, which is known for its health-supporting benefits, while ongoing research continues to reveal exciting new properties on this ingredient. 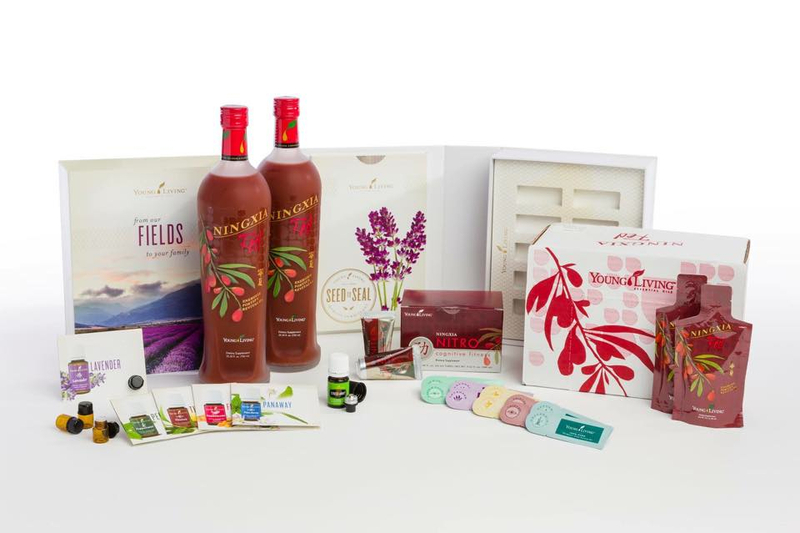 Enjoy NingXia Red daily to energize, fortify, and revitalize the body and support overall health and wellness, from head to toe. • For an additional flavor boost, add a drop or two of your favorite Young Living essential oil. See the following graphic for some great ideas!! 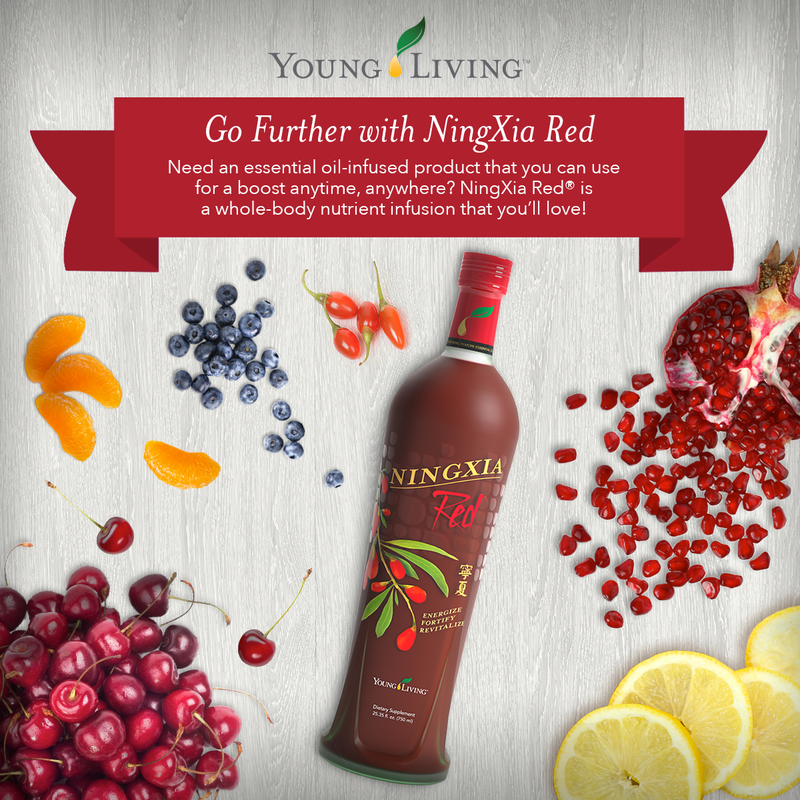 • To enjoy NingXia Red with an extra cognitive boost, combine with 1 tube of NingXia NITRO. Proprietary NingXia Red Blend 29g Ningxia Wolfberry Puree, Blueberry Juice Concentrate, Plum Juice Concentrate, Cherry Juice Concentrate, Aronia Juice Concentrate, Pomegranate Juice Concentrate Proprietary Essential blend 50mg Grape seed extract, Orange EO , Yuzu EO, Lemon EO, Tangerine EO Other ingredients: Tartaric acid, natural blueberry flavor, pure vanilla extract, malic acid, pectin, sodium benzoate/potassium sorbate, natural stevia extract.